THE Prime Minister says there is no cost to TT with the withdrawal of Sandals Resorts International from the proposed Tobago project. "As has been said publicly before there is no cost consequent upon the withdrawal. Sandals has borne its cost of whatever they were engaged in. And of course whatever Government has engaged in, for example the survey on the parcel of land that was under consideration, the topographic survey and any other including the acquisition of the parcel of land that remains an asset of the people of TT, and, therefore, there is no cost that can be attributed as a consequence of the withdrawal." He was responding to Prime Minister's questions in the House on Friday. Couva South MP Rudranath Indarsingh asked, given the collapse of the Sandals Tobago project, what alternative projects will be pursued by the Government to boost tourism in Tobago. 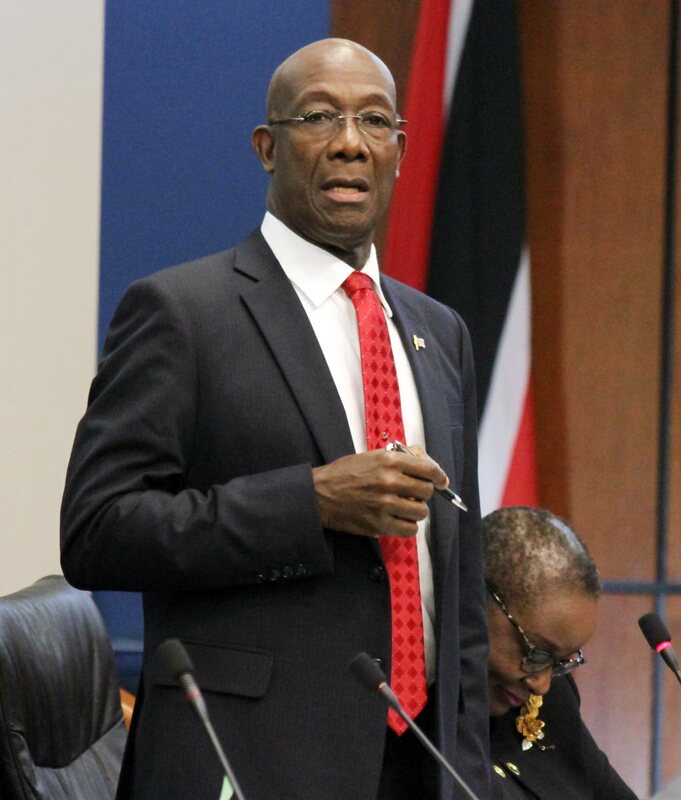 Dr Rowley responded: "Contrary to what has been said that we are entirely standing on or depending on Sandals for our initiatives in Tobago, we are prepared to and we are engaged in talking to any acceptable entity that is interested in identifying Tobago as a location of interest." He said Government has recently doubled incentives for the tourism upgrade accommodation programme which provides rebates for accommodation providers and also increased Government's loan guarantee programme for tourism-related business in Tobago. He also said there is a steering committee for the selection of an operator of Magdalena Grand and qualified proposals were being considered. He said there may be a need for enhancement of the facility including a breakwater, beach enhancement and refurbishment of the hotel plant. Barataria/San Juan MP Dr Fuad Khan asked if Government would consider changing the Magdalena Grand into a time-sharing or rehabilitation hotel or a hotel with a similar plan as Sandals. Rowley responded the process to select a long-term operator for the Magdalena Grand was advancing. "It is premature at this stage to determine what the terms and conditions would be." He said the process must be allowed to continue and the matter was being pursued by a Cabinet-appointed steering committee under the purview of the Finance Ministry. Oropouche West MP Vidia Gayadeen-Gopeesingh asked if it was Government's intention to sell Magdalena Grand Beach Resort and Golf Course to Sunwing Travel Group after a recent meeting between the Prime Minister and Sunwing officials. Rowley responded: "I don't know where these questions are coming from; the Government cannot sell what it doesn't own. As far as I am aware the golf course is not owned by a state agency." He said the visit by the Sunwing officials was Government's encouragement to foreign investors and support for investors in the business of Tobago. "The Government has at this stage, at this stage, no discussion with Sunwing or anybody else for the sale of the Magdalena hotel. What we have is an open door to Sunwing and any other well known international brand that might lift Tobago's tourism plan." He said Government will continue its search for an international brand for the Magdalena hotel. Later in the sitting, Tourism Minister Randall Mitchell was asked if money owed to Sandals for drawings and designs had been paid but Mitchell said no money was owed. Reply to "Rowley: No cost over Sandals withdrawal"